RESPECTED English Rugby League journalist, Ray Fletcher was disappointed with what he called “a lack of atmosphere” the first time he attended a Brisbane club fixture back in 1979. 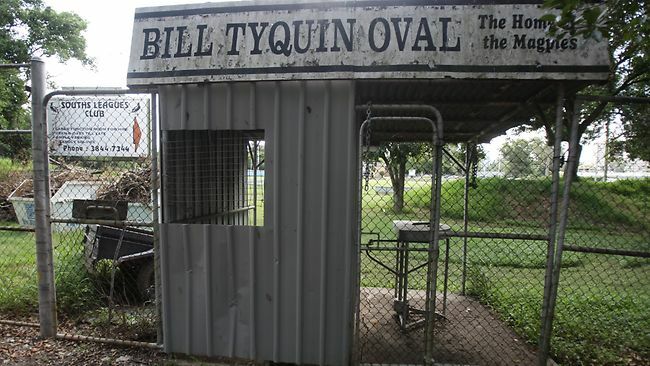 Because the Brisbane competition was so highly regarded in Britain, he expected a number of smaller, well appointed “stadiums” around the city for those games not scheduled at Lang Park. So it was quite a culture shock to arrive at grounds like Bishop Park, Corbett Park and Davies Park with their hill areas and very modest wooden stands. Back in Britain, every club had a covered stand, complemented by terrace areas, with the chanting and singing of fans giving the players a lift as they slugged it out in what was then a winter sport. When I lived in Widnes, Cheshire in 1977-78 I would attend Chemics’ (now Vikings) home games and watch from the terraces, usually after a few pints at the local St Bede’s Working Man’s club. There were plenty of ‘comedians’ in the crowd, but their quick wit could only be appreciated by those in close proximity, given the crowd din. In the build-up to a home match against Wigan, former Great Britain forward, Bill Ashurst declared he wanted to win back his Test jumper with a stirring display against pace setting Widnes. Ashurst had not long returned from a controversy plagued stint with Penrith and after five years off the Test scene was keen to play against the Kangaroos who were to tour Britain late in 1978. “I want Aussie Blood” screamed the back page headline of the Manchester Evening News following an interview with Ashurst. Early in the match against Widnes, Ashurst was felled by a stiff arm from giant Welsh forward, Jim Mills who was sent off for his trouble. You’ve got to love quick wit, and Australia has produced its share of characters “on the hill” and in the stands, although you would not know it from the mindless “Aussie Aussie Aussie Oi Oi Oi” chants which characterise international events contested by our sporting teams. Still, I don’t believe we should copy the chanting of the English crowds. It’s just not us. Last Sunday at Shark Park, Cronulla fans started chanting “Here We go, Here We go, Here We Go”, a la the Pommy crowds. (The rest of it goes: “These are all of the words that we know. We are mindless imbeciles. Here We Go. Here We Go. Here We Go”). NRL fans get into their football, but rarely is there anything menacing about them, and you still see rival fans sitting alongside each other at matches. That has always been the case in British league as well, and it is something our code can rejoice in, something I am sure Ray Fletcher has loved about all his years covering the game. Ray, a mad Hull fan, is battling ill health, and all his mates in Australia wish him well. I’ll have a beer for you Ray, next time I’m in the can bar at Bishop Park.